Uttar Pradesh Home Secretary, Bhagwan Swarup on late 26 October night said all the five involved in assault of a Swiss couple in Fatehpur Sikri have been arrested. 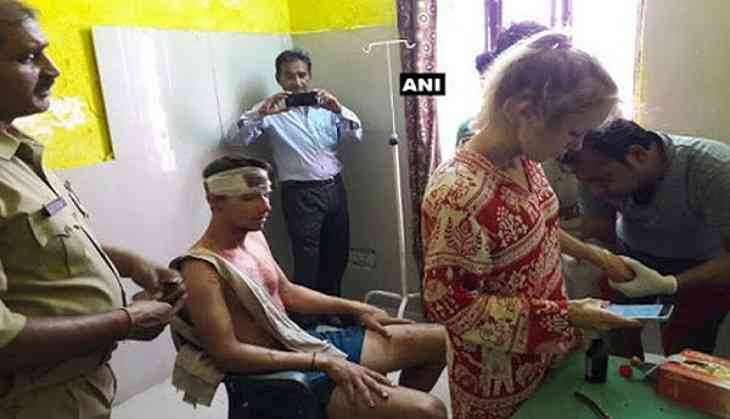 A Swiss couple, hailing from Lausanne in Switzerland, was allegedly brutally thrashed by a group of youths in Agra's Fatehpur Sikri on Sunday. The duo was reportedly seriously injured in the attack and is currently admitted in a hospital in Delhi. Meanwhile, Union Tourism Minister K.J. Alphons wrote a letter to Uttar Pradesh Chief Minister Yogi Adityanath expressing his concern over the incident. External Affairs Minister Sushma Swaraj also sought a report from the Uttar Pradesh Government over the incident. The Swiss pair has alleged that they were followed by a group of people while ambling near the railway station. Later, the group started passing comments at them and forced the couple to stop and take selfies. The group's harassment soon turned violent and they suffered critical injuries.